Roshen Silva’s second half-century of the match helps Sri Lanka set Bangladesh 339-run target before spinners roll Bangladesh over for 123. 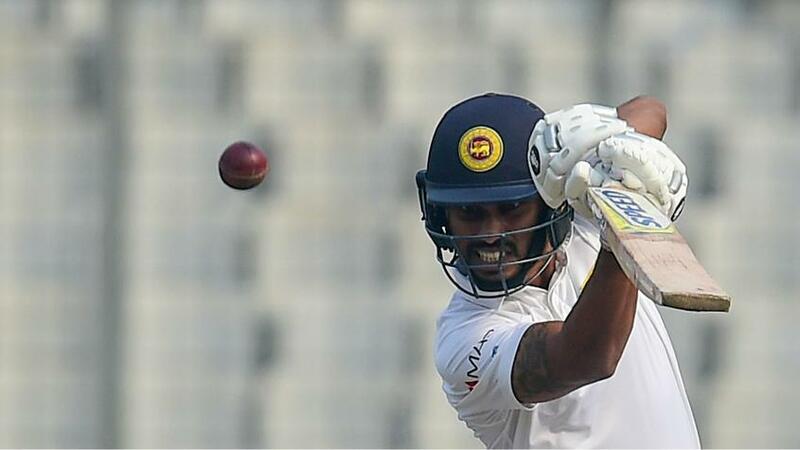 The Sri Lankan spinners masterminded a fantastic 213-run win over Bangladesh on the third day of the second and final Test to seal a 1-0 away series win at the Sher-e-Bangla National Stadium in Dhaka on Saturday (10 February). Roshen Silva led the batting charge to help set Bangladesh a 339-run target, and with Akila Dananjaya and Rangana Herath running riot, Bangladesh finished on a disappointing 123, the innings finishing in just 29.3 overs as the batsmen went for their strokes and ended up paying the price. Till the 16th over, with Mominul Haque and Mushfiqur Rahim in the middle, it looked like Bangladesh would put up a fight. But once Herath sent Haque back on his way, the innings lasted just over 13 more overs. Herath finished with 4/49, taking his career tally to 415 wickets to go past Wasim Akram’s mark of 414 to become the most successful left-arm bowler – pacer or spinner – in the history of the format. And Dananjaya, playing his first Test, returned the best match figures by a Sri Lankan on debut with 8/44, his 5/24 in the second innings a masterful exhibition of control more than anything else. In front of the two of them on a crumbling pitch, the Bangladeshis didn’t stand a chance. Rangana Herath picked up four wickets to become the most successful left-arm bowler in Test history. The day started with Sri Lanka on 200/8, already 312 runs ahead, and they added 26 more runs before finishing up. The Bangladesh bowlers, especially Mustafizur Rahman, who bowled five overs upfront, didn’t pose too many threats, and while Silva stretched his personal score to 70 from 58, Suranga Lakmal, the other overnight batsman, struck two fours as he moved from seven to 21. It was only a matter of time before Mahmudullah introduced spin from both ends, and Taijul Islam came on and finished off the innings in two balls. He first went past Lakmal’s slog sweep to hit timber, and next ball, trapped Herath lbw on the forward prod. Crucially from Sri Lanka’s point of view, Silva and Lakmal added 48 runs for the ninth wicket, keeping the Bangladeshis on the field for longer than they would have liked. Silva, who has made an incredible start to his international career, now has three half-centuries to go with one century and has a total of 309 from five Test innings, two of those unbeaten knocks. When Bangladesh batted, chasing a huge target, they needed Tamim Iqbal, their most celebrated batsman, to take charge of the innings. But Tamim was back in the pavilion first ball of the second over for two, trapped in front when he missed one from Dilruwan Perera that didn’t turn. He reviewed, but to no avail. In terms of numbers, Imrul Kayes and Haque did a bit for the second wicket, adding 46, but it was a nervy phase for the batsmen. Haque was lucky as edges flew off his bat but didn’t go to hand, while Kayes seemed intent on hitting his way out of trouble. He rode his luck to get to 17 before edging Herath behind to Niroshan Dickwella. Haque looked good while he lasted, at least in terms of his attitude, but Rahim followed the Kayes template in trying to go for his shots, attempting two reverse sweeps even before he had opened his account. Roshen Silva was named the Player of the Match and Player of the Series for his excellent performance with the bat. The two of them survived till lunch, but it unravelled rather quickly for Bangladesh after the break. Third over into the afternoon session, Herath got Haque to edge behind after scoring 33, and Liton Das followed, popping Dananjaya to Kusal Mendis at forward short-leg. And from 64/2, when Haque and Rahim were batting, to 102/7, when the last recognised batsman Sabbir Rahman fell, was a matter of ten overs, with Herath and Dananjaya running the show. There were edges that went to hand, behind the stumps and to Mendis at short-leg, and Dickwella was in business with a couple of stumpings too, as the batsmen – Rahim and Razzak – moved out to try and smother the turn. Mahmudullah did likewise, and nicked to Dimuth Karunaratne at slip. 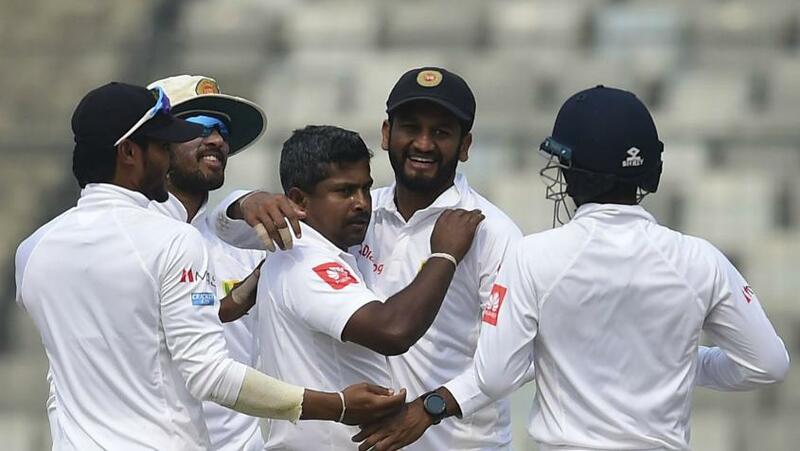 There were no twists in the tale, and the end came quickly when Islam slog-swept Herath to Danushka Gunathilaka at the mid-wicket boundary, and the celebrations began.